This couple, from Singapore, found me online. Neither one had even been to New York City. They came here to do their engagement photos. And both of them wanted to see NYC landmarks. We spent some time together and visited Times Square, Grand Central Station and Central Park. 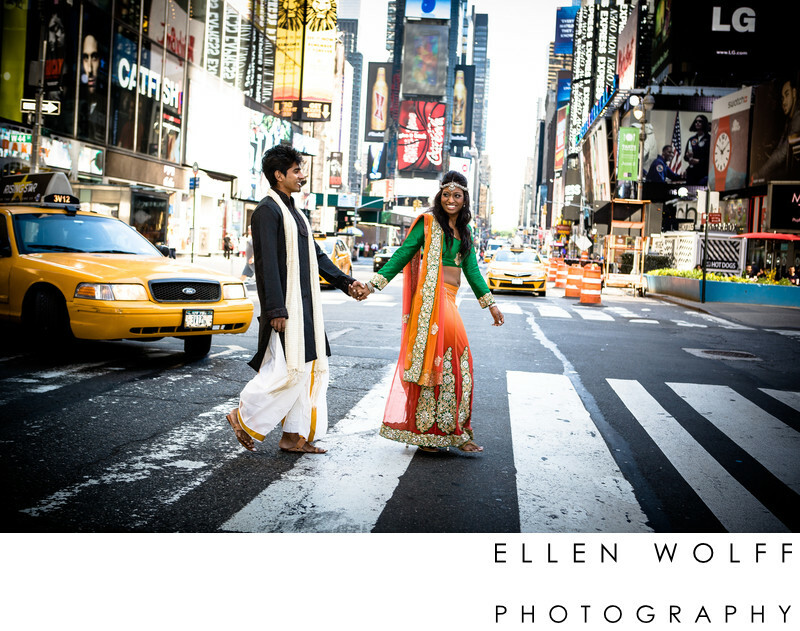 Their traditional garments seem so natural in NYC.Keywords: engagement photos (3), Times Square (3).